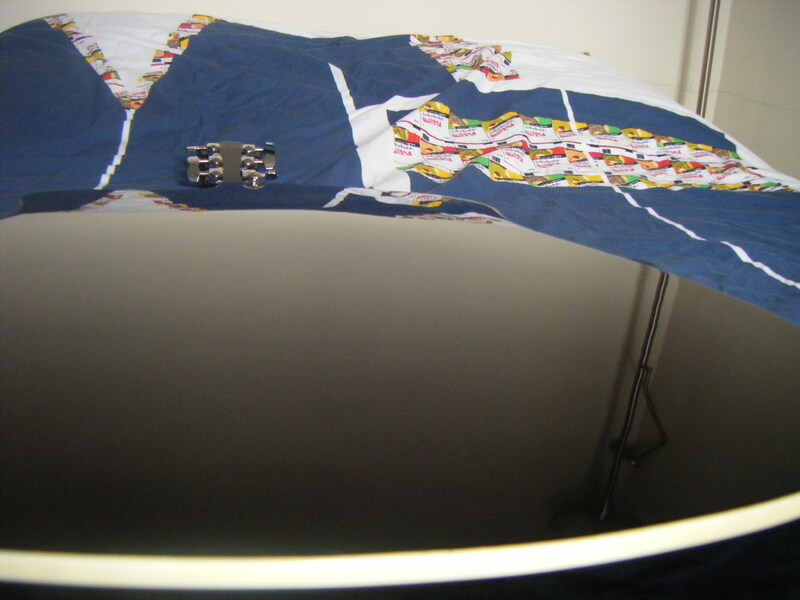 V70CE, Acoustic-electric Folk/Western guitar from Ibanez in the V series. No sealed lubricated machine heads, what a pity! 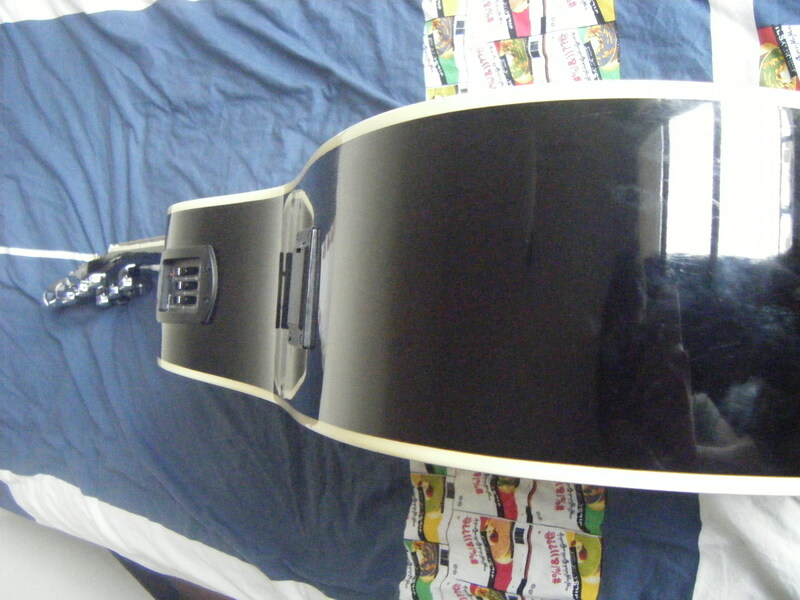 Slim and comfortable neck but the nut is too high making the playing a bit arduous. It's a Dreadnought, there's not much to say about the shape. The preamp controls are quite simple, everything as it should be. I bought this guitar to write ballad/folk intros and it's great for that purpose. The acoustic sound doesn't have a lot of deepness (and the original strings don't seem to help much). With a good amp (Evan 60 tube amp) the small preamp changes the guitar sound completely making it much more interesting. I just bought it. I like the guitar preamp, it sounds ok with a good amp. I also like the output connector on the strap pin and the slim neck. I don't like the painting imperfections, the high nut, the disgusting smell of glue making me sick, the glossy finish highlighting all the fingerprints (I spend more time cleaning it than playing it) and I don't like the acoustic sound. I didn't try any other guitar and I purchased it on the internet. 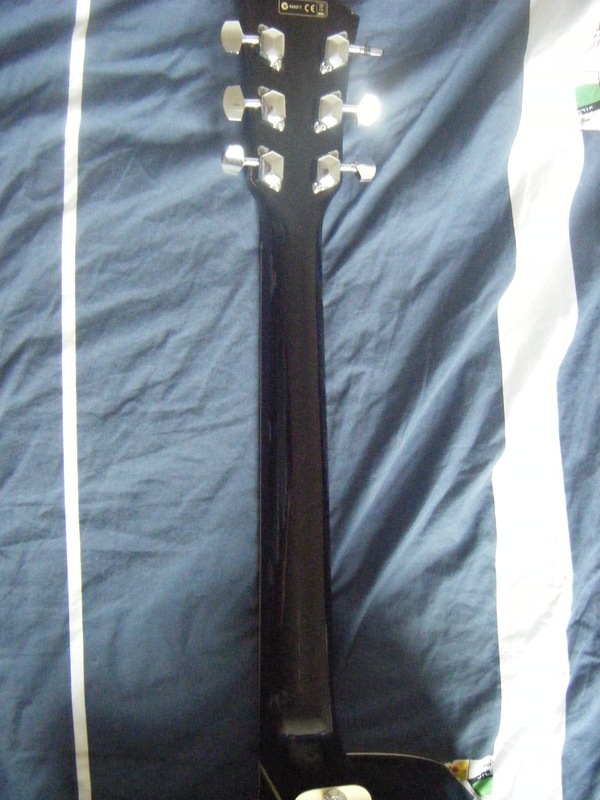 This Chinese electro-acoustic Ibanez sold with a pick, cable, truss rod key and some spare parts was really cheap. Good value for money. It's not an upper-class product but it's good enough for me. I will lower the nut as soon as possible. If I were to buy another guitar I wouldn't buy it on the internet and I would choose one without manufacturing defects for the same price. This is my instrument to scrape around the fire or to compose my songs acoustic. I tried a lot of MODELS, including the Cort, and this seemed MODEL that is most advantageous. Report qualitprix ultra interesting. Bought 240 last year, I would do the same choice again. The handle slides well, enjoyable. because of its pan Access in acute stroke is aisbr trs /> It is not heavy you all, has an aesthetic form, a form of dreadnoughht what! The sound is good, I play with ropes Martins and the sound is great for the price, the original strings are not bad too! I play mostly rock, blues, pop-rock, before I used a Jim Harley 15 watts, an electro amp, the sound is clear, precise, micro are quite good for the price of the beast, I l 'is also used on my roland cube-30 and I can do a lot of impact okay with a good sound thanks to micro rather good! But it's also fun to play with no amp! For bars, we must be precise! I use it for a year now. 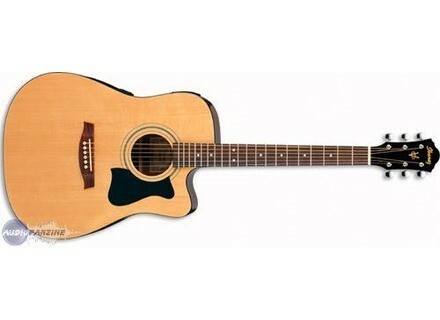 I love this guitar because it is mild and are suitable for, just ready all the styles I play (blues, rock, pop rock). 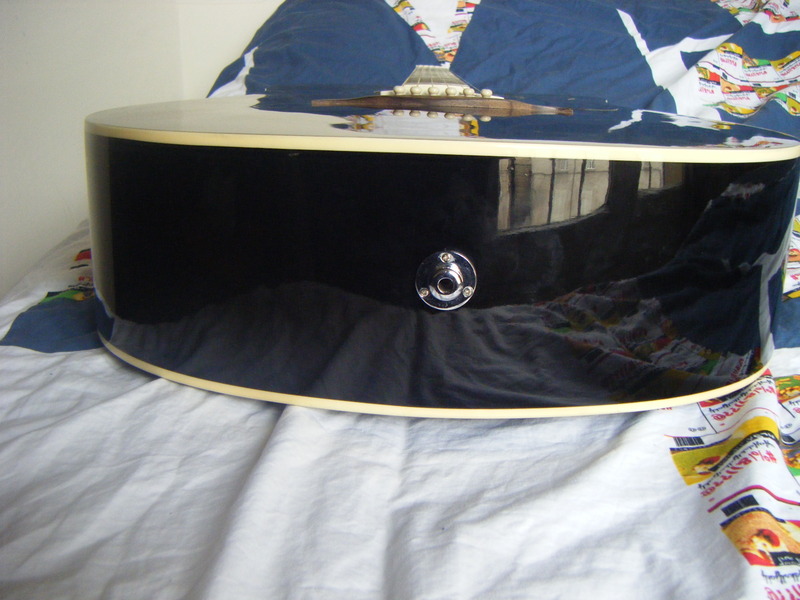 I bought 190 euros, and with so much money I do it again right away that choice, it's really cheap for a guitar with which one can play with amp sounds clear, and both play without amp getting a good sound.